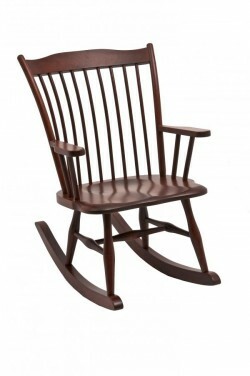 Rocking chairs hold a special place in our hearts; home to quiet minutes reading a book, lulling a child to sleep, or conversations with loved ones, rocking chairs remain a functional and beautiful furniture choice. 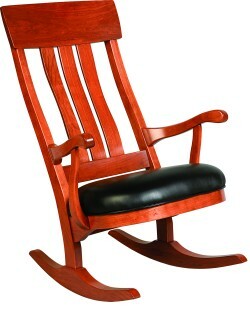 Wood rocking chairs are available in styles ranging from rustic to contemporary and feature seats that can be customized with upholstery or leather. 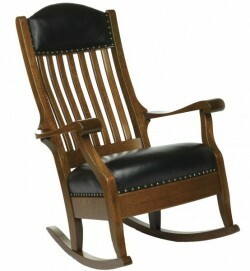 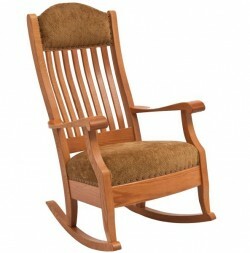 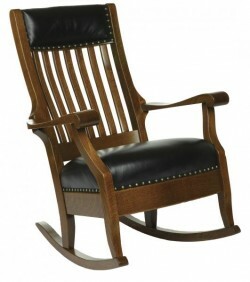 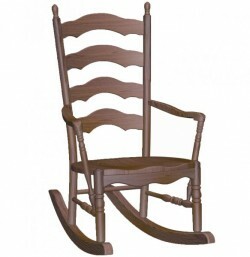 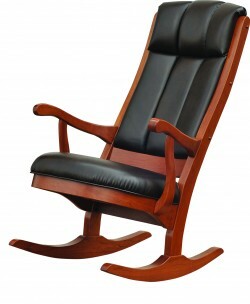 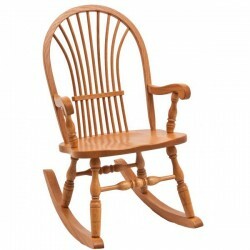 Every wood rocking chair from Amish Originals is made-to-order. 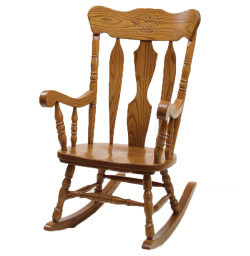 Customers select from solid American hardwoods like Red Oak, Maple, Cherry and Quarter Sawn White Oak—combined with choices in stain color and style, a rocking chair from Amish Originals can truly be a custom piece of furniture for your home. 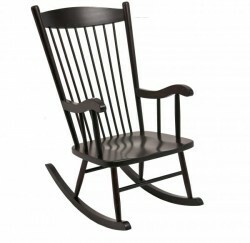 Your wood rocking chair will be made in Ohio, by Amish craftsmen who have spent generations honing their building techniques to provide furniture that is as beautiful as it is durable. 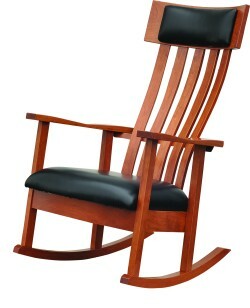 Additionally, every piece of timber used in the building of our furniture has been harvested using sustainable methods and promoting respect of our earth’s environment. 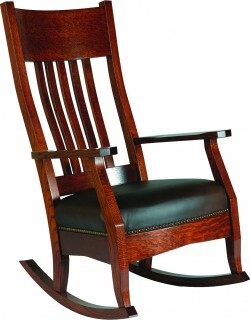 To see and feel the quality of our furniture or learn more about our process, call or visit our showroom in Uptown Westerville, Ohio.